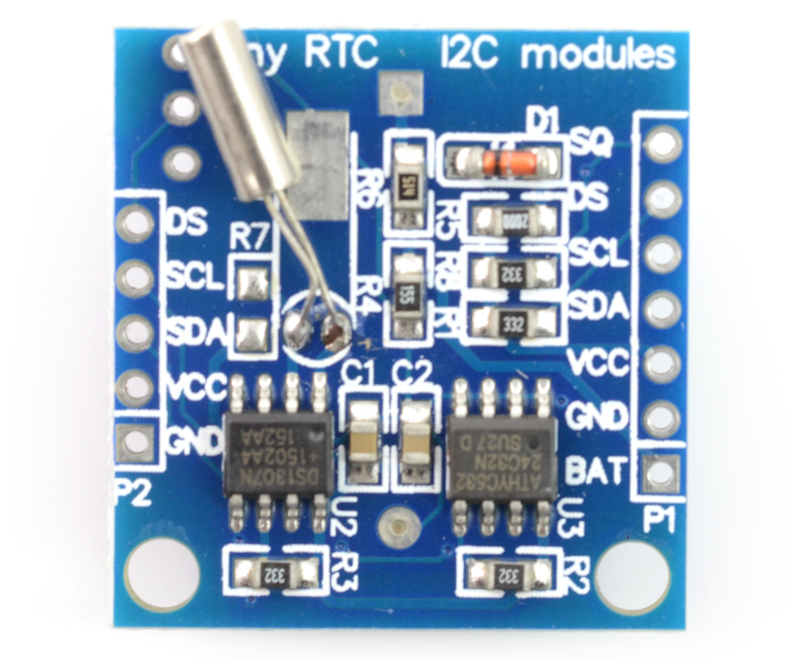 DS1307 RTC Real Time Clock Module with real time clock DS1307 and battery back-up. It allows you to read time in the form of hours, minutes and seconds and dates: month, day, year. It has 32 kb EEPROM memory. The communication interface is the I2C bus (lines SDA and SCL) , the data refresh rate is 1 Hz (1 second). The 5 V supply voltage is connected tobthe pin marked with the same symbol. The I2C bus should be connected to the SCL terminals - clock line and SDA - data line. Pin SQ is the output of a rectangular signal with the selected frequency . GND is the ground of the system. The 5V 2 Channel Relay Module in Pakistan Shield provides a solution for controlling high current devices that cannot be controlled by the Arduino’s D..
Specification:This is RGB 3 color LED module for Arduino red green blueMaterial: PCBRGB signal output3 color: Red, green, blueCompatible with Arduino ..
For Light intensity detected,light brightness sensors,Smart car moduleUsing the sensitive type photosensitive resistance sensorWaveform of the compara..
Module parameters:1.single module can drive an 8 * 8 common cathode lattice2.module operating voltage: 5V3.with four screws hole, aperture 3mm, Our M3..